The unrelenting momentum of Automechanika Dubai continues to gather pace with no signs of slowing down, as visitors to the three-day event passed the 30,000 mark for the first time in its 13 year history. 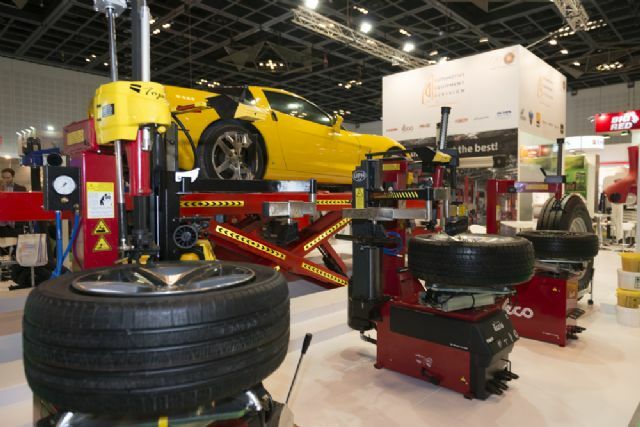 A total of 30,835 trade buyers from 130 countries passed through the 2015 edition of the Middle East and Africa's largest automotive aftermarket trade fair, a seven per cent increase over the previous year, according to organiser Messe Frankfurt Middle East. 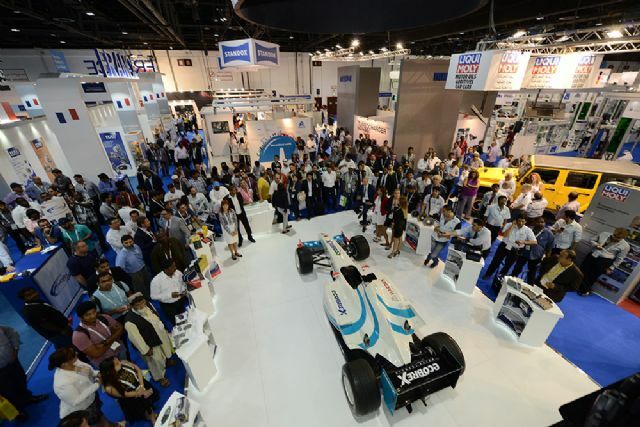 With 1,889 exhibitors from 59 countries occupying 17 per cent more space than in 2014, Automechanika Dubai 2015 concluded on 4 June at the Dubai International Convention and Exhibition Centre with more international and local representation than ever before. The increasing global interest in the wider region's automotive aftermarket also comes as Dubai Customs released figures showing Dubai's trade for auto parts and accessories was valued at US$12 billion in 2014, 10 per cent more than in 2013. That figure includes imports of auto parts, accessories, tyres, and engine components worth US$7 billion last year, while exports and re-exports were worth US$5 billion, reinforcing Dubai's premier status as a major liaison between Asian, European and North American manufacturing countries and consuming regional markets. New product launches, partnerships, distribution agreements, and manufacturing facility announcements by leading global majors and local players alike were the norm at Automechanika Dubai 2015. At the forefront of new announcements was the show's Headline Sponsor and UAE-based ENOC, which opened a 5,000sqm lubricants and grease manufacturing plant in Dubai to complement its existing facility in Fujairah. According to Mohammed El Sadek, Director of ENOC's Lubricant Division, the two plants have a total production capacity of 300,000 metric tonnes annually, most of which is exported to more than 60 countries. “The UAE is the Middle East's largest hub for manufacturing of lubricants, manufacturing close to 1.5 million metric tonnes annually,” said El Sadek. “Only 200,000mt is used domestically, so there's around 1.3 million metric tonnes exported throughout the region as well as into Asia, South East Asia, Africa, and the sub-continent. “There is huge potential to build on this business especially for export and Automechanika Dubai gives us the platform to expand into new markets where we are not yet present,” added El Sadek. Automechanika Dubai focuses on six product sections of Parts & Components and Systems & Electronics (1,340 exhibitors in 2015), Tyres & Batteries (190 exhibitors), Accessories & Tuning (166 exhibitors), Repair & Maintenance (109 exhibitors), and Service Station & Car Wash (84 exhibitors). The largest section, Parts & Components and Systems & Electronics, spanned more than 41,000sqm of exhibition space alone, and was packed with biggest names of the international automotive aftermarket. Among these was Belgian-headquartered WABCO, a world-leading supplier of electronic braking, stability, suspension and transmission automation systems for heavy duty commercial vehicles. Sherif El-Sheikh, Regional Leader for the Middle East and Africa, WABCO Trailer Systems, Aftermarket and Off-Highway Division, said the region presented major growth opportunities for the automotive sector. Among the more innovative product launches at Automechanika Dubai 2015 was Irish company No-H2O's waterless carwash solutions. No-H2O signed a partnership agreement with Central Trading Company (CTC) – part of the Al Rostamani Group – at Automechanika Dubai. The deal, which is expected to exceed AED10 million, will see CTC take on the role of master franchisee and act as the exclusive distributor for No-H2O in the UAE. “We're revolutionising the UAE car market by introducing No-H2O and we will continue to satisfy our valuable customers and exceed their expectations,” said Mohammed Aqel, General Manager of Central Trading Company. 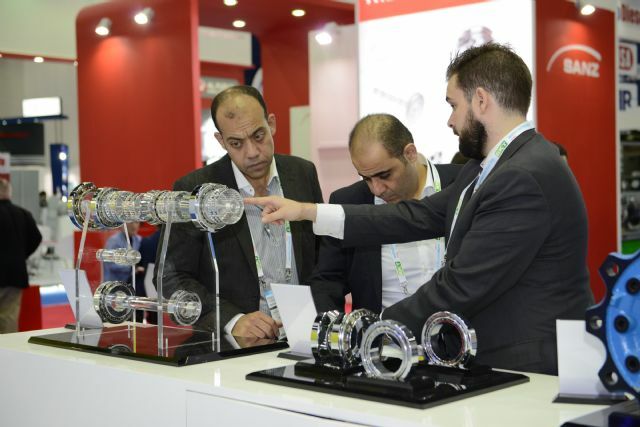 Automechanika Dubai is the definitive must-attend trade show for the wider region's automotive aftermarket, and has in recent years attracted a growing number of African visitors looking for suppliers of genuine parts, accessories, and components. More than 3,000 trade buyers from the world's second largest continent stopped by Automechanika Dubai 2015, including Nigerian Engineer Tunde Koiki, CEO of Teekay Service Centre, who has visited the show for the past six years. “Every year there's something I want to achieve at Automechanika Dubai,” said Koiki. “This year my target is to meet manufacturers and establish partnerships in Nigeria where there is a strong demand right now for genuine parts. As the dust settles on another record-breaking show, the wheels are already in motion for Automechanika Dubai 2016. The 14th edition will take place from 8-10 May 2016 at the Dubai International Convention and Exhibition Centre, a month earlier than its usual dates to accommodate the Holy month of Ramadan.